The Government of Dubai has signed an agreement with a UK-based startup, ObjectTech, to develop digital passports for seamless entry at Dubai Airport, combining biometric verification and Blockchain technology. The partnership between Dubai&apos;s Immigration and Visas Department (GDRFA – General Directorate of Residency and Foreigners&apos; Affairs) and ObjectTech aims to create the world&apos;s first ‘gate-less border’. The technology will enable passengers alighting from aircraft to walk straight through to baggage collection without stopping at passport control. Biometric verification will happen as they walk, allowing them to be registered into the country using a pre-approved and digitised passport. 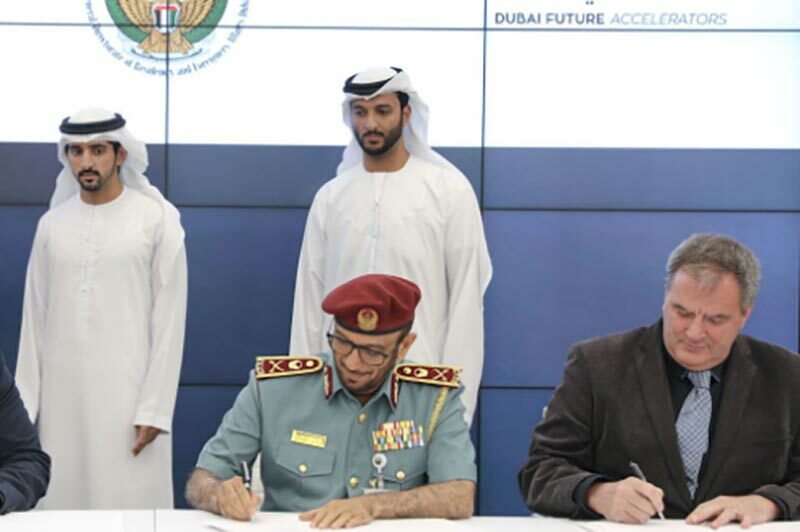 This agreement follows a previous announcement in February 2017, that ObjectTech was participating in the second cohort of the Dubai Future Accelerators (DFA1), which aims to work to bring together government entities in Dubai and companies working on cutting-edge technologies. with GDFRA and demonstrate that their self-sovereign identity solution would be the best means of automating the visa-through-to-entry system. The press release from ObjectTech notes that through the idea of seamless entry at international airports has been around for several years, the advent of the identity trust framework provided by Blockchain technology is making it possible for the first time. Dubai Airport has Smart Gates, which uses a system integrated with the Emirates Identity Authority, to enable Emirates ID card holders to scan their passport and walk through. The process was further simplified with the launch of a new application last week, called Smart UAE Wallet. Citizens and residents departing from Dubai International Airport would be able to use their smartphones instead of passport, at the smart gates to pass through electronic gates within 15 seconds, using travel machine readable barcodes generated in the app. The Wallet also contains passport information, residence visa, and emirates ID documents, as well as their dependents, along with boarding pass info for Emirates Airline. But this new technology has the potential to bring about an absolute transformation in the process of passport control and border crossings. It is aligned with the Dubai government’s 10x policy, which aims to make sure that all public services are 10 years ahead of the rest of the world. The Dubai government has a Blockchain strategy in place and is exploring its use in a variety of areas, such as payments and logistics. ObjectTech is working closely with the International Organization for Standardization (ISO) on the standardisation of blockchain technology, with CEO Paul Ferris sitting as the Chair of the identity working group. ObjectTech has also signed an agreement with Dubai’s Department of Economic Development at the DFA offices to work together on the emPay payment system, a national mobile wallet solution. It uses NFC technology and allows consumers to use both mobile devices and wearables. 1The DFA programme was launched in July 2016. DFA is not a traditional accelerator teaching entrepreneurs how to write a business plan. The aim is to accelerate the building of a relationship between companies and government, with the final objective being companies receiving a MOU (or other commercial agreement) to deliver a funded pilot project after the program ends.